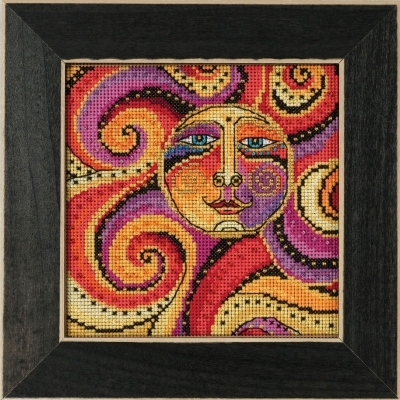 Laurel Burch kit includes Mill Hill Beads, 14ct Brown perforated paper, floss, needles, chart, and instructions. The 6" x 6" Mill Hill frame GBFRM1 is sold separately. Size: 5.5 x 5.5 inches.